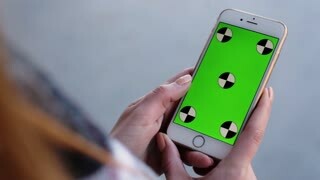 Search Results for "swipe left"
Man Hand Using Horizontal Digital Tablet with Green Swipe Left on the Background of Wooden Table. A Finger Swipes On a Tablet Screen With Alpha Channel. Double Swipe Left Gesture. Woman Sitting at the Cafe Drinking Tasty Coffee. 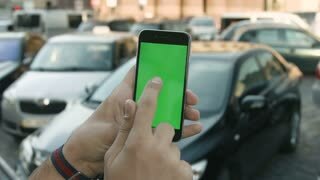 Holding Mobile Device with green Screen. Touching Display with her Fingers. Making Gestures of Zooming. Clicking on Screen. Swiping Left, Right. 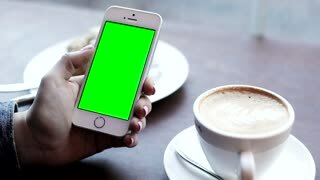 A black smartphone with green screen for chroma key compositing the hands swipe left of a man on white background, of Internet commerce and the use of online banking to pay for and goods in Internet, top view. Tablet held by hands. Green screen Chroma Key. Close up. Tracking motion. Vertical. POV, modern kitchen, day, Swipe left / right animation. Smart Phone held by hands. Green screen Chroma Key. Close up. Tracking motion. Horizontal. Person sitting, telephone on the leg, blue jeans / pants. - . Swipe left / right animation. Girl Sitting at the Cafe. 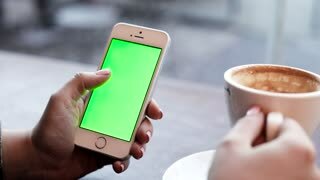 Using her Smartphone with Green Screen. Swiping Left, Down. Woman’s Fingers Clicking, Scrolling on Touchscreen. Making Gestures of Zooming. Touching Display. swipe from left to right in a forest by a log. Fast laser shapes effects crossing the screen horizontally. Glowing shapes, very fast movement. Horizontal left to the right swipe. Laser shots. Alpha.